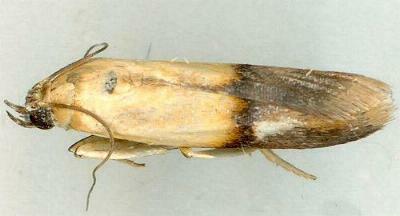 This adult moth has forewings each with a pale brown basal half and a dark brown marginal half, with a dark band across the middle. 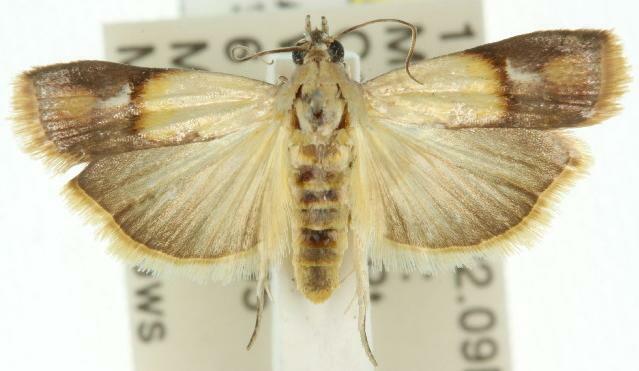 The hindwings are pale brown fading to white at the bases. The moth has a wingspan of about 2 cms. Volume 8 (1901), p. 552, No. 446, and also Plate 57, fig. 14.